Guardian Dental Care offers Gap Free Dental Checkups and Clean. Guardian Dental Care, proud supporter of Child Dental Benefits Schedule. Guardian Dental Care are family dentists in Forest Lake, conveniently located in Grand Boulevard Shopping Centre, directly across from Forest Lake State School. We offer a wide range of Dental Services from Teeth Whitening to Dental Implants and Dentures. Expecting a warm and inviting smile when you first walk in, gentle and professional Dental Care from our experienced dentists, trusted advice from our caring team, Guardian Dental Care is dedicated to making your dental experience a pleasant one. Please feel free to come in and tour our Dental Centre at Forest Lake and become acquainted with a Guardian Dental Care Dentist. By taking part in continuing education programme, we pride ourselves in being able to offer you the best possible treatment options and Dental Care available. You will love the results that you can get with our combination of latest technology and experienced, caring dental professionals. Guardian Dental Care offers Gap-Free Dental Checkups and Cleaning. This is our all time best service offer. Regular dental health checkups and cleaning are a must to keep oral and dental hygiene at their maximum. We provide no gap dental check-ups to those who are covered by insurance or other health coverage. Our Gap-Free Dental Checkups is inclusive of full exams with x-ray, thorough cleaning, and additional fluoride protection treatment should you want it. Guardian Dental Care are proud supporters of the Child Dental Benefits Schedule. This program provided by the government started in 2014 and enables children in the nation between the ages of two and seventeen to have access to dental services benefits. These benefits include dental x-rays, thorough and regular dental cleaning, cavities removal and filling, fissure closing, necessary teeth removals, and root canals should the child need them. Dental care for your children has never been more affordable. Get custom made clear brace technology so you don’t have to hide your smile anymore. They’re like the superheroes of the dental world, they do their work aligning your teeth 24/7 but are virtually invisible to the eye. It will be hard for others to see you have braces on at all. What’s also great about these aligners is that you can take them off during mealtimes and when doing your regular dental routine of brushing and flossing your teeth. Just remember to have the aligners on at least 22 hours in a 24-hour period. You also need to clean your teeth after every meal before re-installing your Invisalign braces. Call Guardian Dental Care to get started on your journey to straighter teeth today! At Guardian Dental Care, our highly qualified dentists are devoted to delivering extraordinary dentist services with your comfort in mind. We want all our clients to leave our offices with perfect smiles. Our energetic and progressive team are constantly training to learn how to use the latest and best in dental technology to help give our clients the most up-to-date dental care. From office staff, dental or oral hygienist staff, to our main dentists, it gives us great pleasure to be able to serve the community for better dental health and aesthetics. Book your next appointment with us and you’ll see why we’re the best in all areas of service from booking to oral and dental care. We serve people of all ages, and we’ll go the extra mile to make sure you get the care you need. General Teeth Cleaning – General examination, scaling, plaque and tartar buildup removal, stain removal, polishing, professional floss, and fluoride treatment. Cavity Removal – X-ray of cavity area, cavity removal by drilling out the damaged area, cleaning and sterilizing gap left by cavity after its removal. Cavity Hole Fillings – Sealing of the gap left by the cavity with the option of filling by white filler to match tooth colour so filler is not noticeable. Root Canals – Infected and inflamed tooth matter is removed. The area is then cleaned and sterilized and filled with sterile material. Gaps are filled with filling or a crown is put on the tooth for greater protection. Bridges – Two crowns are made for the tooth on each side of the missing tooth area and a fake tooth is attached in between the crowns. When the crowns are installed, the fake tooth is also installed to fill the missing tooth gap. Crowns – These are put on top of deformed teeth to make the teeth look normal again. Teeth Restoration – Cavity filling, dental implants, bridges, crowns, etc. Cosmetic Procedures – Inlays, onlays, bonding, veneers, whitening, implants – all to make your smile look its best. Dental Emergencies – If you’ve chipped a tooth or have had trauma to your teeth, come to our offices right away for treatment. Implants – Having a titanium root for a tooth implanted into the jawbone and then teeth mounted or bridged to close any teeth gaps. These are better than dentures. Veneers – Teeth shells that cover existing teeth to make them look better. Braces – Teeth alignment correction. Invisalign Braces – Barely noticeable teeth alignment correction. Teeth Whitening – Get a brighter smile! Having your dental problems managed and cared for by Guardian Dental Care makes dental problems easier to cope with. Your comfort is of utmost importance to us. Your dental issues will be cared for effectively and in a timely manner. Most people fear going to the dentist because of a lot of other dentists don’t care too much about the comfort level of their patients. We can assure you our whole team is different. Whatever you need to give you a pain-free service, we will provide it. Before any procedures, we will let you in on all the details so that you know what is being done, and there are no surprises. We will customize our services to fit your dental and comfort needs. You will be surprised at the ease of all the appointments and services we provide. Your thoughts and feelings are important to us. At Guardian Dental Care, we listen carefully to your concerns to get a better understanding of how you want your appointment and procedures to occur. Once we hear your concerns, we can tell you our methods and plans of how we can solve your dental problems and issues. Once you agree with the strategies planned with your comfort in mind, we can proceed with giving you the dental care you requested and require. Just like fingerprints, your teeth are unique to you. If you require an x-ray to get a better understanding of the problem areas, we will provide it. Once we see the problem areas, our team comes up with a plan of action to help alleviate and solve your dental or oral issues. Our dental solution strategies are made to fit your circumstances and needs. You are in the best hands by choosing the professionals at Guardian Dental Care. All you need to worry about is looking after your dental and oral health when you get home. We take care of the rest at your appointments in our offices. We know that most people lead busy lives and you might have a hectic schedule too. We can accommodate your time constraints and conduct your procedures at a time convenient for you. We will do our work as efficiently as possible without compromise to quality. To get our work done faster and better, we have the latest in dental and oral hygiene technology available to accomplish our procedures. We constantly undergo training to learn how to better serve our clients. 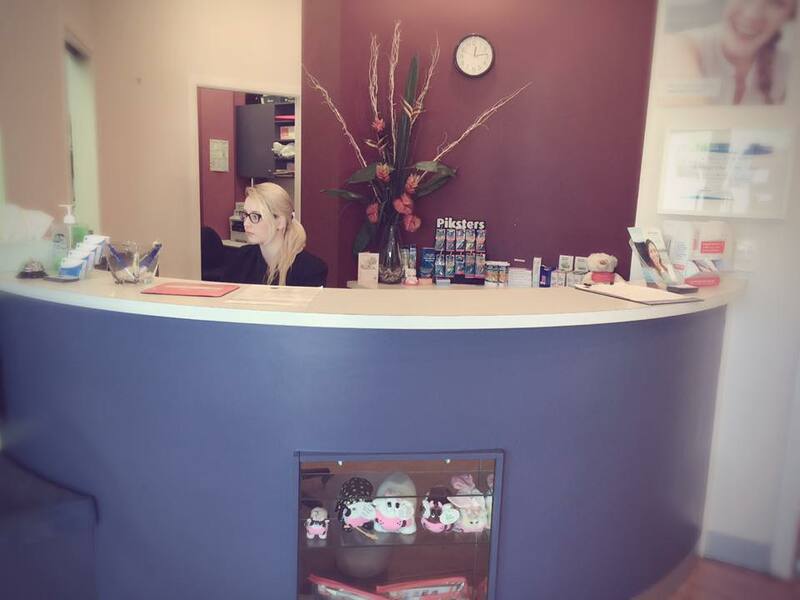 Email, phone, or visit our office to book an appointment to get your dental work done fast. The sooner you book, the sooner you come out of our offices with a perfect smile.